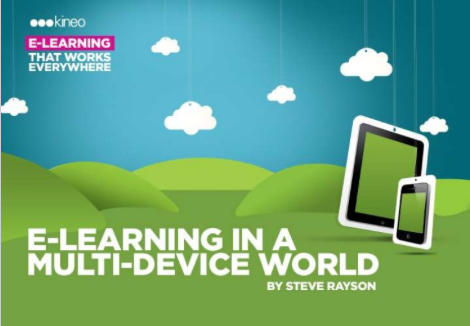 iPads, iPhones, Galaxy Tabs, laptops, desktops -- it's now a learning-on-the-go world where most of us regularly access multiple devices in a day. (Me? I've got three: my laptop, my iPhone, and my Kindle). We've got authoring tools that output to Flash and HTML and do this and do that. At Kineo, we've been exploring options for delivering content in this new world order. Yesterday, Steve Rayson shared some of the cool things our team has been looking at. In case you missed it, the webinar recording and slides are now available. 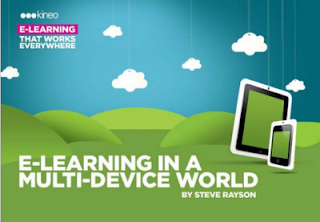 Find out more about Responsive eLearning Design and why we think it's the way forward.